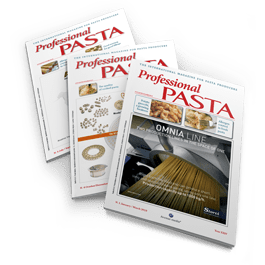 This year the Barilla Pasta World Championship has doubled its efforts to include two competitions. The first one was dedicated to “Young Talent Chefs” of the international culinary scenario; the second one to “Great Chefs” already established around the world. 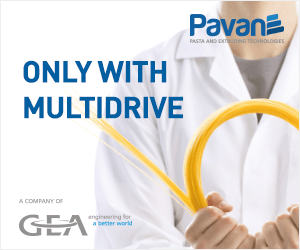 This double challenge aimed to represent the power of pasta, both for its importance as a staple of Italian cuisine, and its true international reach: a symbol of the strong connection and exchange between cultures and countries from around the world. 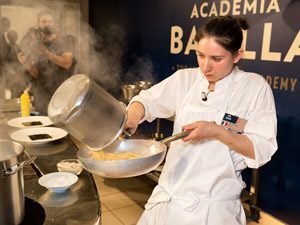 The Arena for this tasting battle was the Academia Barilla, the international center dedicated to the dissemination of Italian gastronomic culture across the world, located in the heart of the “Italian Food Valley”, in Parma, recently named a Unesco Creative City for Gastronomy. The winner of the “Great Chefs” competition was the Slovenian Jure Tomic with the recipe “Fusilli integrali formaggio di capra e zucca” (Wholemeal fusilli goat cheese and pumpkin). The competition began when 10 “Young Talents”, selected from the best alumni of Alma (the International School of Italian Cuisine of Gualtiero Marchesi), challenged each other to create the best recipe based on the iconic Spaghetti n.5. The young chef woman Caterina Amelio, with her recipe “Spaghetti al profumo di mare, carpaccio nero di pasta – Spaghetti with sea aroma and black pasta carpaccio”, a perfect marriage between the Italian tradition of pasta and the local flavors of the French cuisine, triumphed in the “Young Talented Chefs” contest. «The Pasta World Championship was created to celebrate pasta and underline its versatility and its ability to adapt to cultures and societies very different from each other, without losing their identity. The dough binds people together and embodies tradition and innovation. For this precise reason we are particularly proud to introduce in this year’s event – through our collaboration with Alma – the “Young Talented Chefs” competition, reinterpreting an iconic Barilla product, the Spaghetti n. 5», Paolo Barilla, Vice President of the Barilla Group, said. 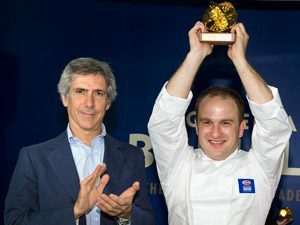 The winner was announced by a “technical” jury, chaired by Lorenzo Cogo, a chef who at the age of just 25 years old, earned his first Michelin star at his restaurant in Marano Vicentino (Italy). For him «the Italian cuisine is instinctive cooking that offers not only a journey of emotions, but also a profound experience that affects all senses. His challenge is to bring together the culinary and cultural traditions with research and experimentation». Among 10 contenders of the “Young Talented Chefs”, the victorious chef was Caterina, 23 years old, from Cormano (Milan). This is not the first success for Caterina, who already counts on her resume prestigious collaborations with Gordon Ramsay’s one Michelin Starred restaurant Au Trianon in Paris, where she works in the team of chef Simone Zanoni. She began her carrer at the Alma. An apprenticeship in the two-star Uliassi restaurant was her first contact with haute cuisine. Her career continued at the Da Vittorio restaurant as a kitchen commis under Chef Enrico Cerea (3 Michelin stars). After a brief period at the Da Candida restaurant (1 Star) with chef Bernard Fournier, she received an offer to move to France, as demi chef in the team of Zanoni. «I am very happy. To win is an immense joy and honor», Caterina said. 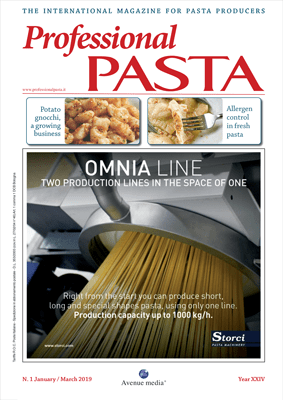 «Pasta is in our italian tradition and in our Dna. 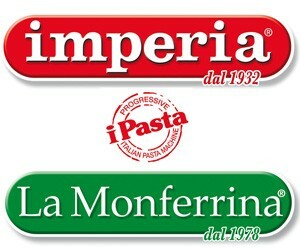 Often after a hard day’s work, I enjoy a good dish of pasta even if only with tomato sauce. I often speak with my mom over the phone and I’m soon transported back to my home country of Italy».